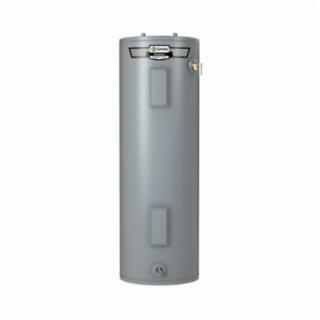 The ProLine® standard electric water heater is the reliable choice when you are looking to maximize your hot water output and is designed with environmentally-friendly insulation to reduce standby heat loss. With a 40 gal tank delivering 4500 W, the ENS-40 delivers a first hour rating of 54 gal at an Energy Factor of 0.95. The Coregard™ sacrificial anode helps protect the tank from the corrosive effects of water and is accompanied by a 6-years limited tank warranty.